The UK Mathematics Trust (UKMT) is a registered charity whose aim is to advance the education of children and young people in mathematics. The UKMT organises national mathematics competitions and other mathematical enrichment activities for 11-18 year old UK school pupils. 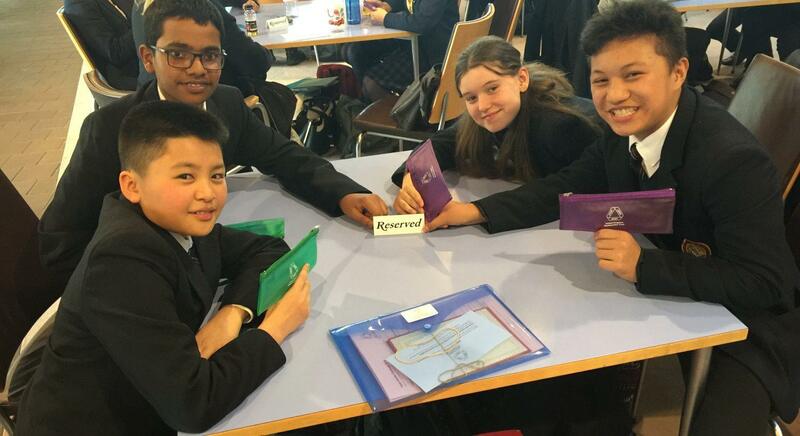 The latest competition was the ‘Regional Finals for the Junior Team Mathematics Challenge’, held on Monday 18 of March, hosted by the University of Cambridge. The WGS team consisted of two 2nd Form pupils and two 3rd Form pupils. They were competing for the first time as a team of mathematicians and this was also the first time they had been to the University of Cambridge. They tackled the timed complex logical problems with a calm approach and worked very hard in all the rounds; Group, Shuttle, Cross Number and Relay to enable them to gain 13th out of 31 schools from the region. The 2nd formers who took part will have the opportunity to compete again next year with younger pupils and they are already looking forward to it, and hoping to beat their placing to gain a top ten position. We are very proud of Andrew, Virroch, Phoenix and Lemuel; coming 13th out of 31 Schools is a real achievement.